According to Fortune.com, the problem started back in January 2015, nearly four years ago. 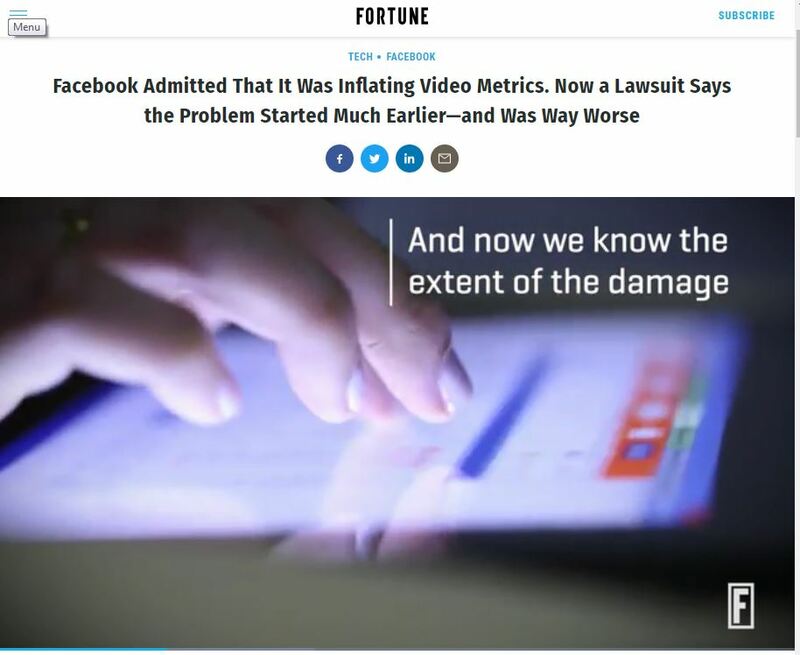 Facebook admitted average video viewing figures were inflated by only counting views that lasted longer than three seconds and clicks were counted on video ads when a user tried to resize the video carousel. Users claim these inflated statistics made Facebook appear to be a more robust video platform than it was. This inaccurate information was used to build content strategies that shifted away from traditional platforms to Facebook. Could this be a major issue for the company, considering its business model relies heavily on advertising revenue? For now, we are keeping a watchful eye on the situation as it unfolds and a closer eye on our metrics. What about you? Did Facebook video metrics sway your strategy? If it seems like this story reappears every few years, it's because it has. Has Facebook video metrics influenced your posting strategy? Here's what you need to know going forward. Has #Facebook video metrics influenced your posting strategy? Here's what you need to know going forward. Facebook has admitted that it's been inflating video metrics. 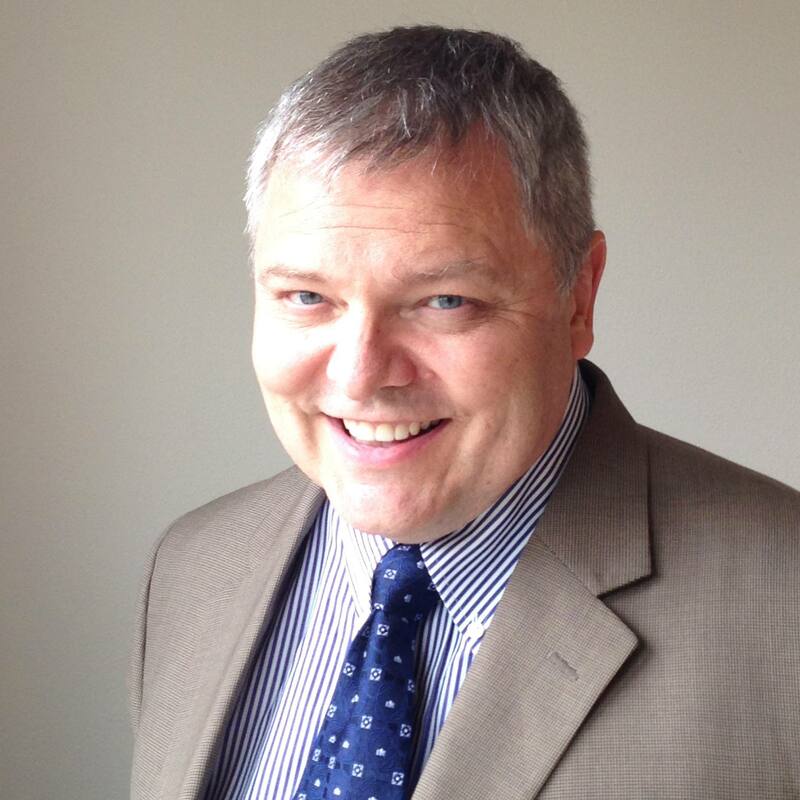 What does that mean for healthcare agencies? Facebook has been using inaccurate data to encourage video posting. Here's what MCSMN members need to know. #Facebook has admitted that it's been inflating video metrics. What does that mean for #healthcare agencies? #Facebook has been using inaccurate data to encourage video posting. Here's what #MCSMN members need to know. 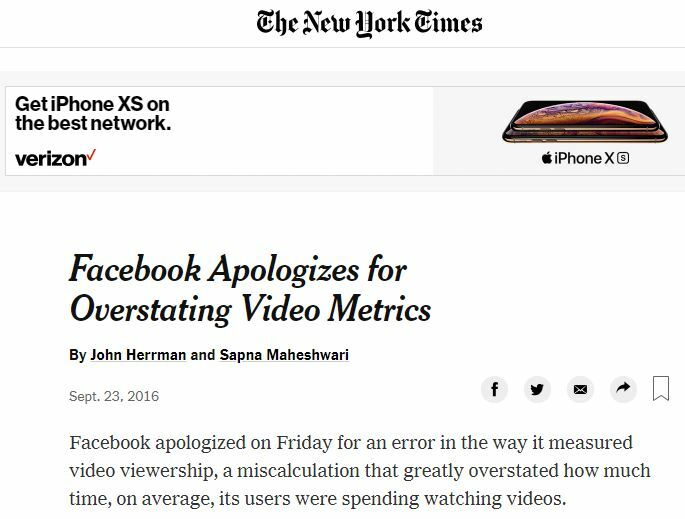 Inflated video metrics have made Facebook appear to be a more robust video platform than it really is. But does that mean no one is seeing our content? Inflated video metrics have made #Facebook appear to be a more robust video platform than it really is. But does that mean no one is seeing our content? Provided this was not intentional, I think there is some "buyer beware" responsibility here. If you are determining your corporate social media strategy mostly based on social media platform reported video views, then you have other issues to address.